Part of boating happy is boating safely. 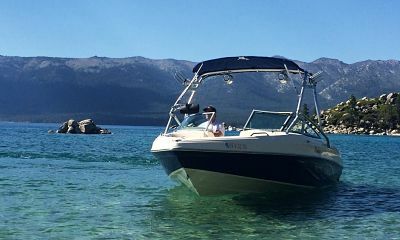 To help you rent or charter a watercraft safely and legally, GetMyBoat provides each owner and renter with templates, checklists, regulations, and more. We encourage you to read through each item on this list before you rent or charter any vessel. If a required safety item is missing or does not work, do not go out. The watercraft owner must replace or fix the item before anyone takes the vessel out. If the item that is missing or does not work is a suggested safety item, you will need to assess the situation based on safety. If in doubt, don’t go out. Walk through the pre-rental checklist with the owner before embark on the vessel, and upon arrival back at the docks, go through the post-rental form together. These checklists serve as a reminder to verify each item has been attended to, and allows you time to note any pre-existing damage to the vessel. Make sure you and the owner have both have read, understood, and signed each form. After your boating experience has been verified and your reservation confirmed, request a rental agreement from the owner. GetMyBoat offers sample rental agreements for boats, houseboats, and personal watercraft, but because they are only templates, consult with your lawyer or legal counsel to review the documents. Ensure they cover your specific needs and terms. Make sure to keep a copy for yourself. Make sure you are up-to-date with your state and local regulations and laws. These can change so it is a good idea to review them often. It is a good idea to have a copy of your state’s laws on board the vessel at all times for quick access and reference. There are also many how-tos and safety articles in GetMyBoat’s Resource Center. Spend some time checking out articles before you rent or charter a watercraft. GetMyBoat wants you to successfully spend a day (or more!) on the water, and safety is a top priority.